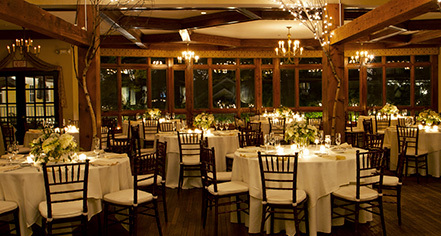 The Bedford Village Inn sets the stage for truly extraordinary weddings here in the heart of New England. The 10-acre New Hampshire estate is impeccably landscaped, with wisteria-lined walkways, and elegant fountains. Choose from a range of splendid indoor and outdoor Bedford wedding venues, guaranteed to provide the perfect setting for a very special occasion. Perhaps the couple would like to celebrate their love amidst family and friends in the magnificent Great Hall. Or perhaps an intimate outdoor ceremony in the lush side gardens, followed by an informal reception, is more in keeping with the theme or personality. Whatever the preference, the bride and groom can depend upon the talented and experienced planning team to assist in making the wedding of their dreams a very happy reality. 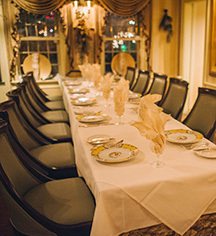 Learn more about hosting a wedding at the Bedford Village Inn by exploring the comprehensive, fully customizable wedding packages and menus below. Please contact the Event Coordinators for full pricing & packages.